Snail (Jose Pineda) talks to Minnow (Carol Spring). Created for Fabulas Mayas at GALA Hispanic Theatre. Photo by Lonnie Tague. 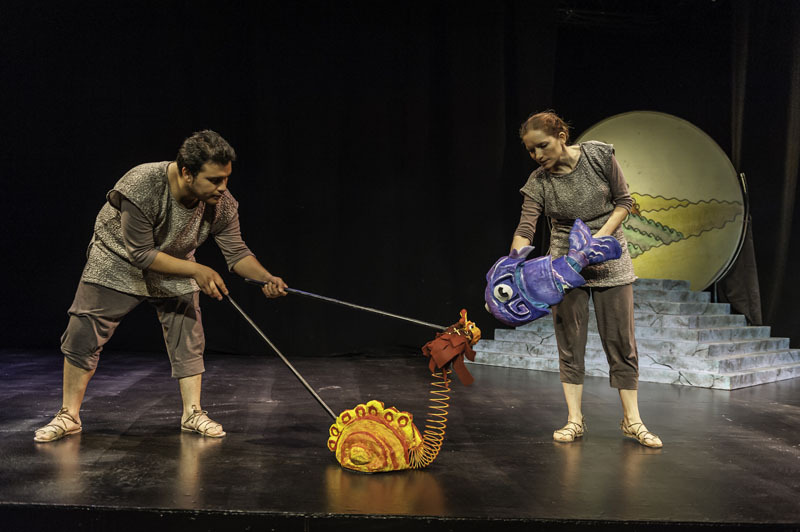 We believe that puppetry can add magic and whimsy to other kinds of performance, including theater, music and film, and we are eager to share our skills with other DC companies. We have had the opportunity to create puppets for collaborative projects with several other arts groups in the area and you can find out more about each of them at the links below. If you are looking for puppet designers for a project, please email info@witsendpuppets.com.